Maven, an on-demand car sharing service, worked with Steel Space Concepts to create a customized Steel Space Lite 8 unit. The promotional pop-up booth was to be used by the company during the inauguration of new vehicle stations at various locations throughout the country. 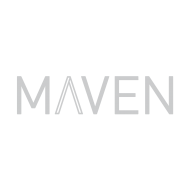 Maven was looking for an easy to use solution which would be simple to transport from one location to the other. 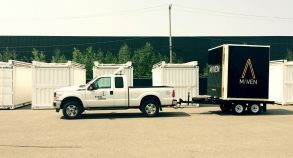 Affordable, lightweight and easy to maneuver, the SSLite8 is quick to set up at ground level and can be transported using a regular pick-up or SUV. 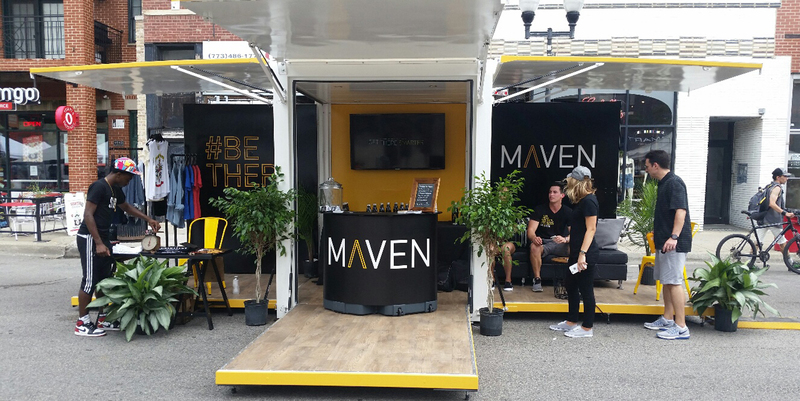 In addition, the unit can be easily modified and customized for future marketing campaigns or events. 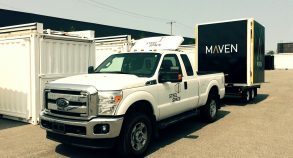 The branded SSLite8 unit designed by Steel Space Concepts easily transforms into a pop-up booth. Once deployed, the interior of the unit features a welcoming reception area, beautiful floorings, TV screens, couches and various products for sale. 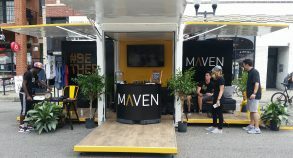 From building brand awareness to boosting sales, Maven used an economically-efficient SSLite8 unit to maximise capital. 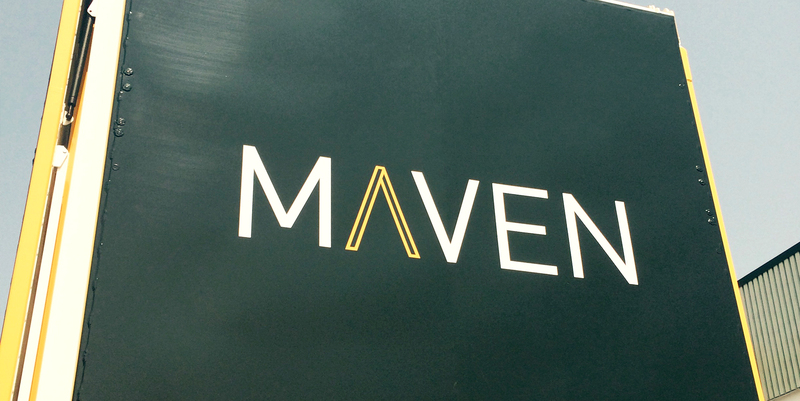 The unit also constitutes a fantastic marketing tool to get the brand noticed and to get potential clients talking about it! SSLite8 units also provide a great way to educate customers on what makes a product unique, particularly if a business sells complex technology products. 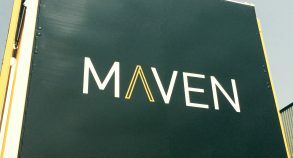 Maven’s representatives were able to explain how the company works to visitors onsite and even show new clients their app and other technologies offered, such as their In-Car 4G LTE WiFi Connectivity, Apple CarPlay & Android Auto and much more. 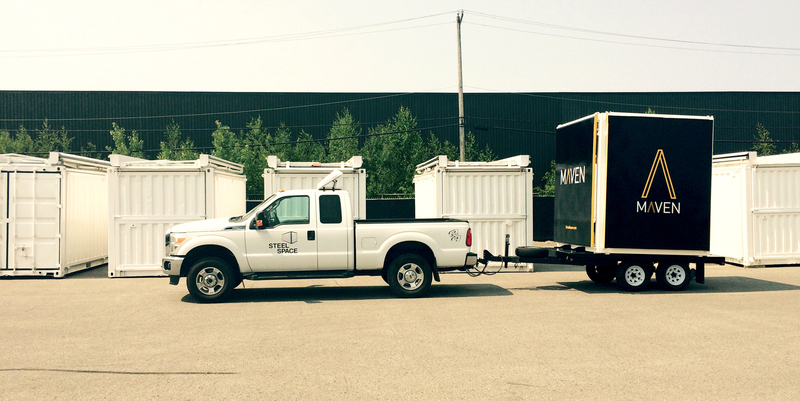 The SSLite8 unit also helped the company extend its brand and create brand awareness. Online technology businesses often need to interact with customers in person to reach clients who would not normally buy or use their services on the web.